Labels are so 2002. That’s why with Issue #7 of EUPHORIA. we decided to ditch them. No one is just one thing anymore and why should they be? Our desire to express ourselves, manifests in more ways than one, and can even cultivate into something new. Taking our magazine to the next level means breaking free of our “music magazine” label and providing you with all the fashion, beauty and art we love (and know you do, too). 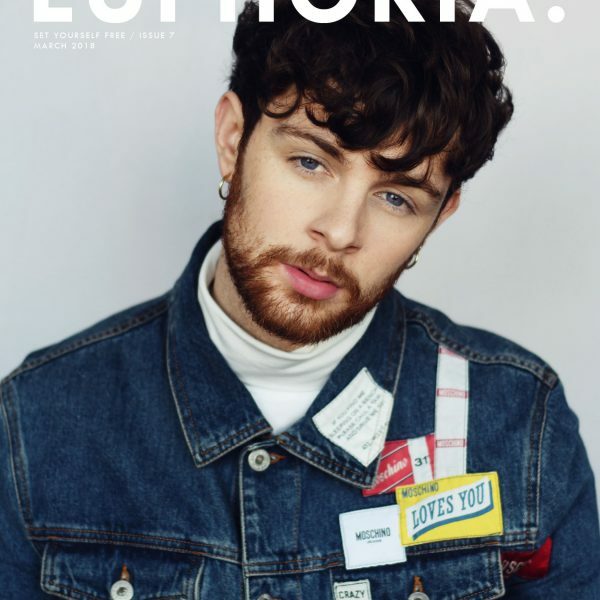 We don’t let labels define us and neither does our next cover artist, Tom Grennan. “I’ve never put a tag on what I do,” he’s said. “Whether it’s rock or it’s soul or whatever. I do what I do and people really like it.” Grennan, whose rise to fame almost seems like fate, has a powerful, soulful voice that feels raw and refreshing in an age of heavy auto tune. And for someone who has sold out a tour before the release of his first album, it’s clear that this is only his beginning. Joining Tom in Issue #7 is Sir Sly, Lauv, Bonnie McKee and so many more. Keep checking back for the remaining covers. Your source for the artists you love, TV you need to see, the latest fashion trends and so much more.